With winter approaching upon us it’s hard to believe that Christmas is around the corner. November has been a great month of fishing and so has weather. 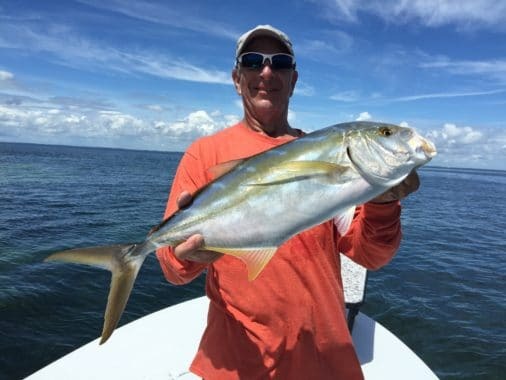 The bone fishing is picking up strong with the cooler water temperatures and there are still a few permit around as well. 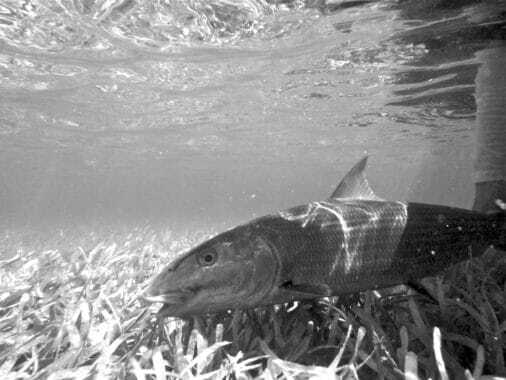 The juvenile tarpon fishing is starting to taper off, but there are still a few around to play with. The flats fishing/site fishing for bone fish, permit, and tarpon are all done on my poling skiff. so if your looking to do some die hard site fishing this is the way to go. 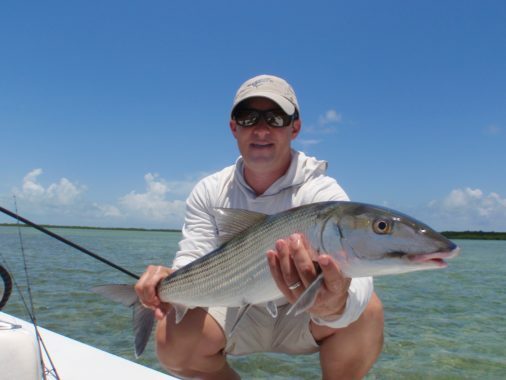 The Bait fishing in Miami’s Biscayne Bay has been on fire! 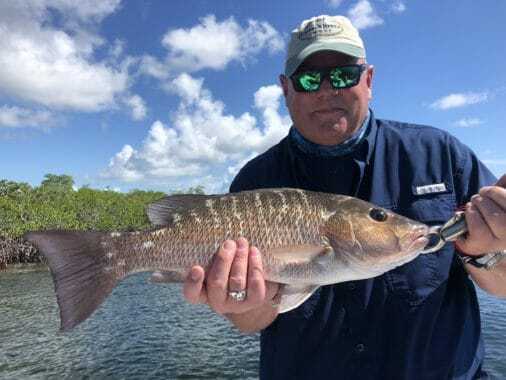 There is still plenty of bait around and with the slightly cooler water temps, the Mutton snapper fishing in the bay has been red hot. Along with Mutton snapper, we are catching big mangrove snapper, some grouper, and one of my favorites yellow jack. There has been some good mackerel fishing as well off the inlet and the sea trout fishing on the north end of Biscayne Bay is starting to pick up. 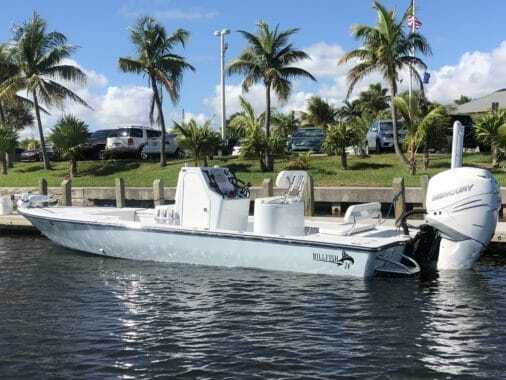 This style of fishing is being done on the newest member of our fleet, a custom 24′ Bill fish Boat-works bay boat. 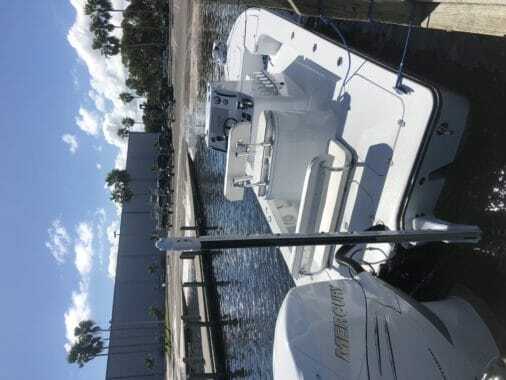 We invested on over a hundred thousand dollars to give our customers one of the best bay boats to fish out of and offer inshore and nearshore reef fishing. We can accommodate a family of four or three adults on the bay boat and offering half, three quarter, and full day trips. 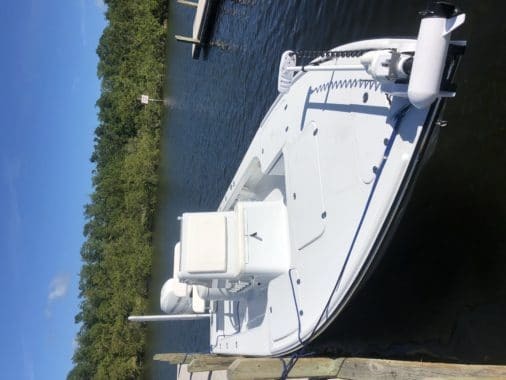 Prices are not up yet on the website since we just took delivery the boat less then a month ago. Prices for the bay boat are as follows. $700-$800-$900. Please call for more detail information. The Christmas holidays are around the corner, so if your looking to book a trip, don’t wait to the last minute. We are booking up fast for the holiday season, and it’s always better to book in advance. Feel free to call me anytime, and if I don’t answer right away, please leave a message or text me and I will return your call as soon as I get off the water.